Created by the Interactive Media Council, Inc., a nonprofit organization of leading web designers, developers, programmers, advertisers and other web-related professionals, the IMAs recognize the highest standards of excellence in website design and development. The competition is designed to elevate the standards of excellence on the Internet. In the university category, the Clark site also came in just shy of a perfect score (494 out of 500), based on a system that judged design, content, feature functionality, usability and standards compliance. The Clark site redesign was overseen by Paula David, Vice President of Marketing and Communications, and Pennie Turgeon, Vice President of Information Technology. Developed in partnership with Connective DX, Acquia and KWALL, the site redesign was launched in March 2016. 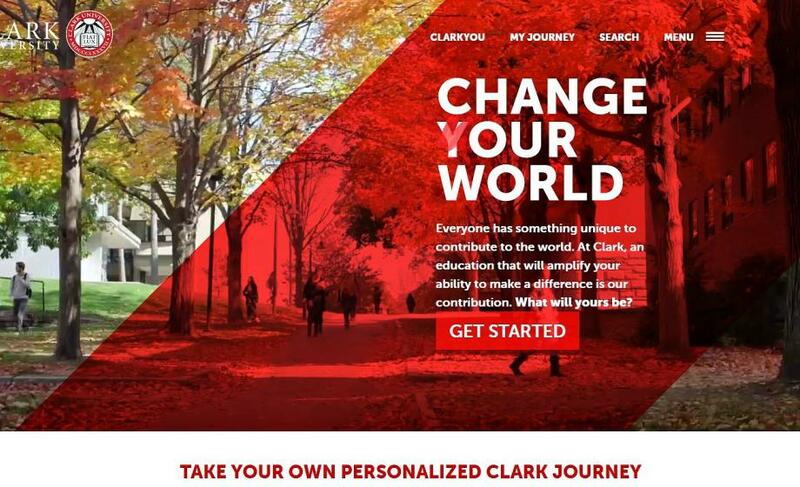 Other recent recognitions for Clark’s website include a Gold Award in the 2017 Council for the Advancement and Support of Education (CASE) District I Excellence Awards; “Best in Higher Education” 2016 Acquia Engage Award; and the Silver Award for Institutional Website in the competitive Higher Ed Marketing Report’s Educational Advertising Awards.